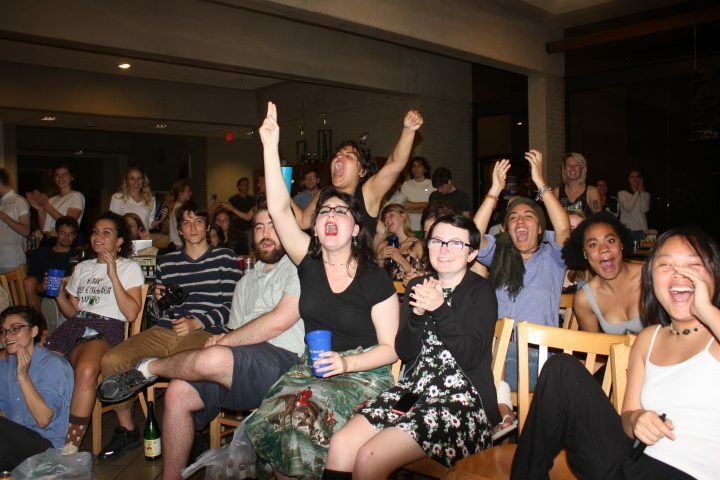 Students pictured at the 2016 Midnight Debates. Student turnout to NCSA events such as the Midnight Debates or Towne Meetings has decreased in recent years. “Everything that has a possibility of going wrong has gone wrong,” third-year and New College Student Alliance Chief of Staff (NCSA CoS) Katie Thurston said. It may not be apparent to the casual reader of meeting minutes or the once-a-year Towne Meeting attendee, but the NCSA has dealt with a number of bureaucratic hangups and just plain bad luck this fall. In an effort to demystify what has been an overwhelmingly busy semester for student representatives, the Catalyst has prepared this overview of the NCSA’s fall semester activities. The year got off to a rocky start after NCSA Co-president Kayla Kisseadoo decided not to return to New College of Florida (NCF). Kisseadoo’s absence left current NCSA President and third-year Ximena Pedroza as the sole chief executive of the NCSA. Pedroza has continued working hard to accomplish her agenda, which includes establishing a food pantry on campus, making sure students have easy access to Plan B and revising the Great Book. However, the workload she faces as a solo president is heightened. The duties of the NCSA’s presidential office have been shared by co-presidents for the past three years in a row. Although Pedroza was not elected as a solo president, she is the first to serve as one since the 2014 administration of Carlos Santos. Co-presidencies ease the burden shouldered by holders of the office, a strategy that illustrates one of the major problems faced by the NCSA in recent years—a lack of candidates running in elections. If no one runs for a position, the resulting vacancies increase the workload of other NCSA officials and cause hold-ups like the one that impacted the Student Allocations Committee (SAC) earlier this semester. Pedroza’s cabinet members were appointed at the end of last spring and confirmed at the first Towne Meeting of the fall semester. Pedroza also planned to confirm the appointments of two new SAC representatives at that Towne Meeting, third-year Volanta Peng and thesis student Alexis Pujol. These appointments were later invalidated by Student Court because they were not included as separate agenda items in the Towne Meeting’s records. The failure to confirm two new SAC members, along with a major disruption in scheduling due to Hurricane Irma, left the SAC unable to fulfill funding requests until Oct. 3, over a month into the semester. NCF is currently facing state audits that prohibit retroactive funding, preventing the SAC from reimbursing clubs for purchases that could not be funded earlier and from reimbursing NCSA officials and Resident Advisors (RAs) who use their own money to hold events with the expectation of reimbursement. Peng and Pujol were confirmed at the Emergency Towne Meeting held on Sept. 29, but not without a challenge to the legitimacy of Pedroza’s appointments. Several students complained at the Emergency Towne Meeting that the NCSA had not adequately publicized the availability of the positions. 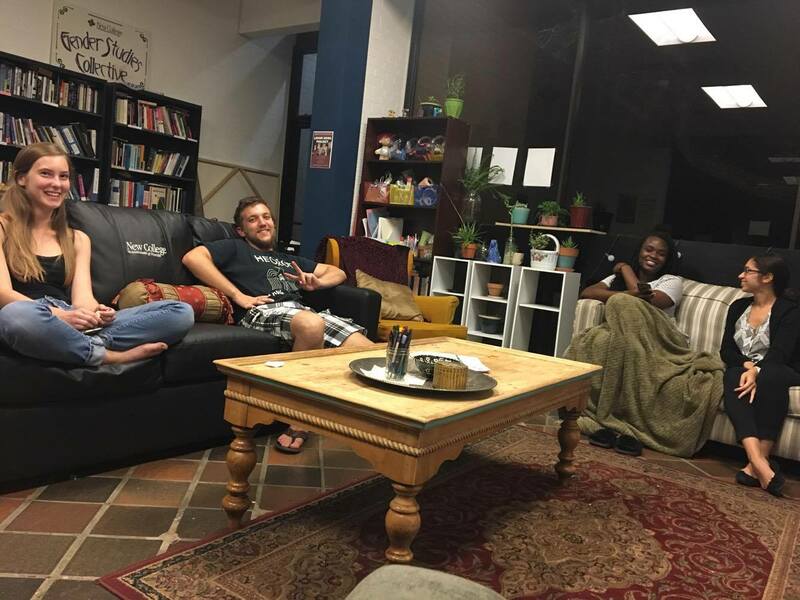 It is true that Peng and Pujol, as well as Vice President of Student Life and Catalyst Staff Writer Timothy “Tim” Manning, were appointed without an announcement of an application process. However, alum and former Chair of the Constitutional Convention Gary Baker (‘10) told the Catalyst that the Great Book does not explicitly require that any appointments made to fill vacant positions be accompanied by a public application process. “When we were writing the Great Book, my recollection is that we decided specifically not to include a requirement that applications be solicited. Mainly because if the president was set on appointing a specific person anyways, an application process would be nothing more than a facade,” Baker said. In Peng and Pujol’s cases, the appointments were made to get an SAC hobbled by the ban on retroactive funding and Hurricane Irma back up and running. In Manning’s case, his predecessor, third-year Erika Thompson, suddenly resigned as VPSL only a few days into the semester. Two other positions that were unexpectedly vacated later in the semester, Vice President of Diversity and Inclusion (VPDI) and Supervisor of Elections (SoE), were filled by presidential appointments that did include an application process. Several other factors have made the NCSA’s job more difficult this semester. Speaking to NCSA officials, it became apparent that the Pedroza has had to appoint many positions in response to a lack of participation in student government. Thurston, who is working on an internship program that she hopes will encourage more first-years to become involved in the NCSA, thinks that including more first and second-years will be a great step in improving the organization. “Student government, especially at this school, it’s really scary to get involved with. [Being a public figure] can be really alarming. I know it was for me my first year,” Thurston said. There are also inadequacies with the Great Book, which was purportedly written in a single day, that hamper decision-making within the NCSA. “It’s got so many holes. It doesn’t have certain rules. It contradicts itself all over the place,” third-year and Speaker of the Town Meeting Emily Via said. “Some positions just aren’t listed [in the Great Book] that have been there for years,” third-year and Vice President of Academic Affairs (VPAA) Araya Barnes said. Events that took place last year have also shaped how the different branches of the NCSA interact. The attempt last year by thesis student and SAC representative Sage Ray to impeach former Co-presidents Miles Iton and Paul Loriston–and later the impeachment proceedings brought against Ray–have had a lasting impact. “[Pedroza] has been more involved than any president has been in the past with the SAC […] We’ve been told that, with our minutes, nothing can be off the record. We have to record it and Elan, the secretary, has to type out every word that everyone says,” Pujol said. Despite these issues, the NCSA remains optimistic in the face of the problems they’ve dealt with this semester.